McLaren kind of caught us off-guard with the introduction of the 600LT Spider – the 2nd long-tail spider of the ultimate series lineup. In true McLaren fashion, it comes with a 3.8-liter V-8 that’s good for 592 horsepower and 457 pound-feet of torque. 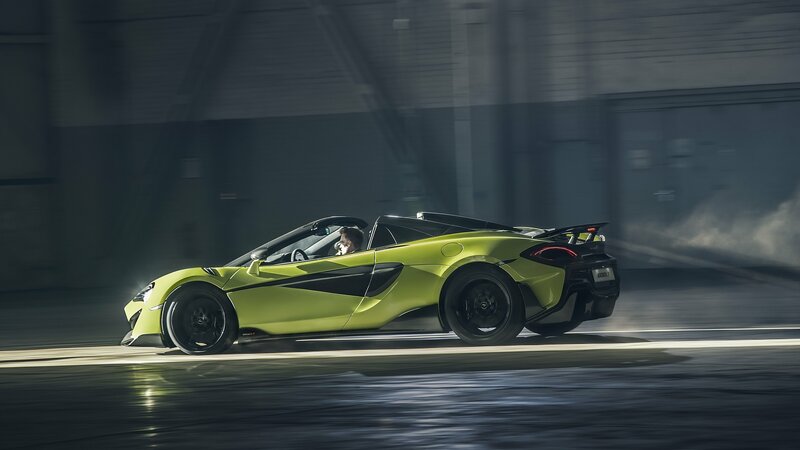 Even better yet, McLaren managed to keep the usual weight gain associated with drop-top models under control as the 600LT Spider tips the scales at just 110 pounds more than the standard 600LT – that means it’s just 0.2-seconds slower than the coupe it’s based on. It also weighs some 220.5 pounds less than the McLaren 570S Spider – you know, just for the record. Anyway, the 60-mph sprint takes just 2.8 seconds, and the 124-mph sprint takes just 8.4 seconds. Put the hammer down, and you’ll bounce off the rev-limiter in high gear somewhere between 196 and 201 mph. With all of this said, we’re just taken back by the 600LT Spider’s sleek body design, proper proportions, and downright elegance. So, we’ve decided to feature it as our wallpaper of the day. We’ve picked out our favorite, but we’ve also added a gallery below for you to choose from if you want something different. Download one or download them all – they are free, and the choice is yours. Enjoy!